Sweet Potato BBQ Zucchini Chips. 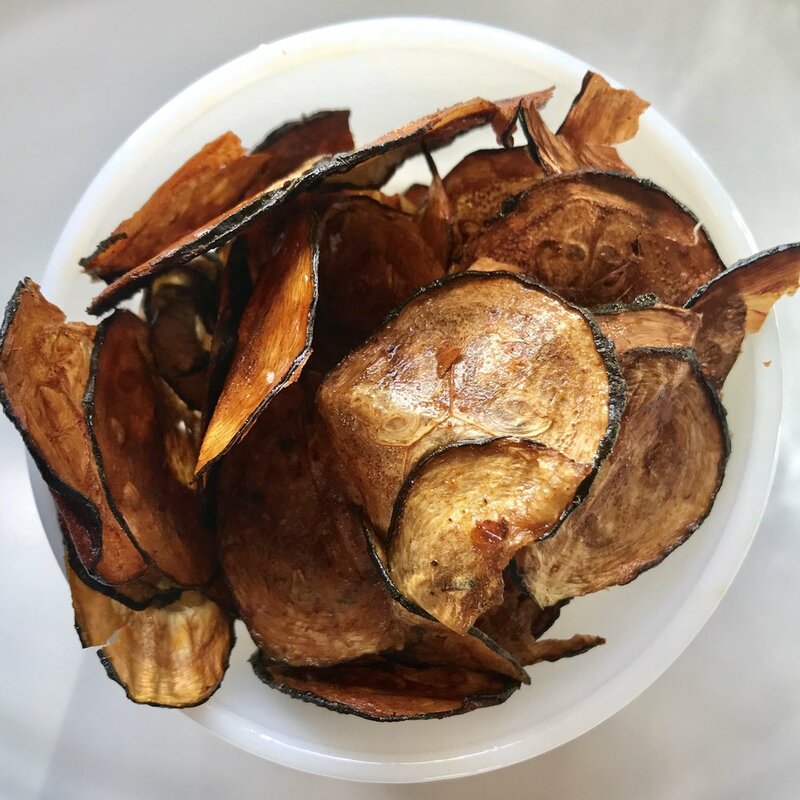 If you're bored with your snack routine and hunting for something new, stop right there and try these chips. Who knew zucchini chips could be so delicious. For this recipe, we made a mixture of KYVAN Sweet Potato BBQ sauce and olive oil. They were gone minutes after we made them, so be sure to double up on your recipe. Be sure to cover your baking pan with parchment paper. We didn't but it will prevent these thin slices from sticking to the baking tray. One big tip: Be sure to give yourself two hours. Depending on your stove, it will take the full length of time to reduce these into crunchy crisps by baking. KYVAN Sweet Potato BBQ zucchini crisps with Honey Apple Salsa. Adapted from original recipe on Table For Two. Thinly slice a large zucchini. Use the long thin slicer on a grater or a mandolin. 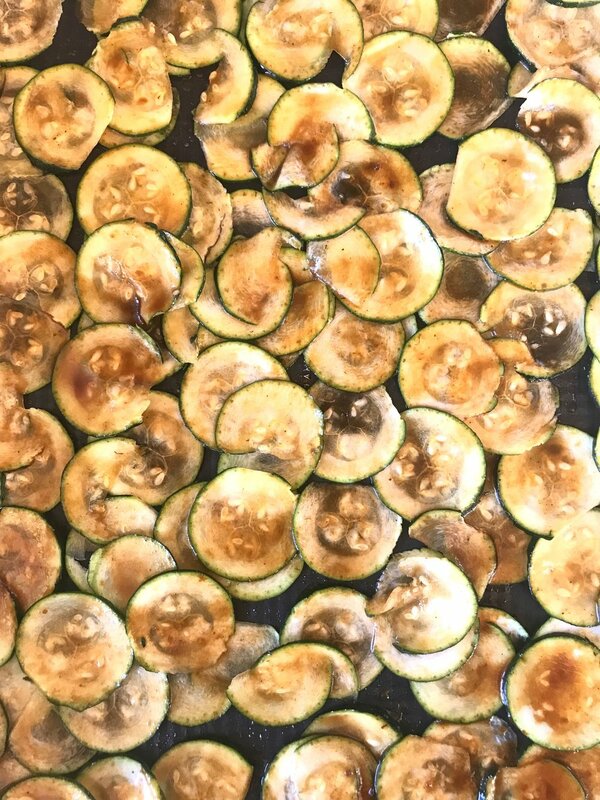 Place all of the zucchini slices on a baking tray, one next to the other. It's okay if they are touching or over lapping a little. Mix the BBQ sauce and olive oil. With a pastry brush, spread a thin layer of the mixture across the zucchini slices. You only need to brush one side with this recipe because the mixture will soak through quite well. Place in the oven for up to 2 hours or until crisp. Enjoy with KYVAN Honey Apple Salsa! Delicious. Learn more about KYVAN Foods here. Learn more about KYVAN and shop their salsa and BBQ Sauce on Treatmo App. Download on iTunes.